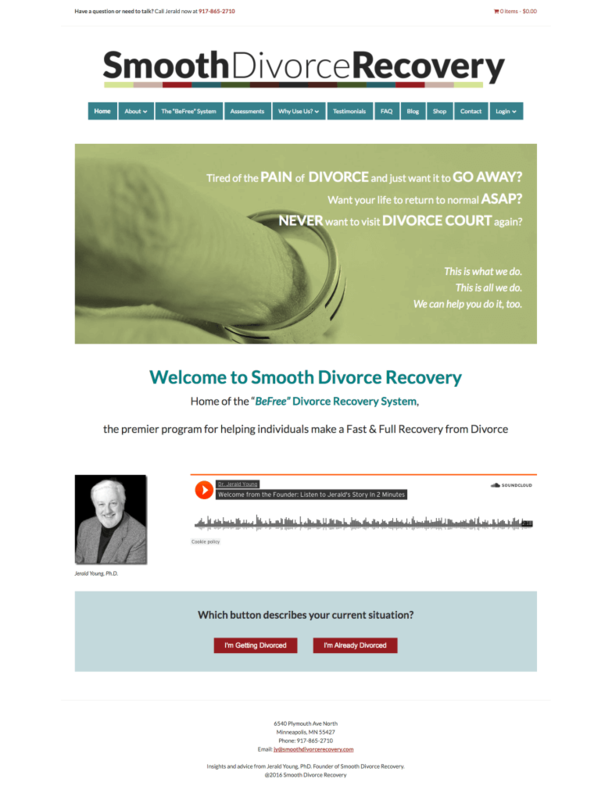 The Smooth Divorce Recovery website came to me broken and weighted down with the cruft of several false starts. This site required a way for clients to purchase workshop materials and have them dripped to them over time. WooCommerce and Sensei form the engine that powers this site to help Jerald stay focused on his clients.